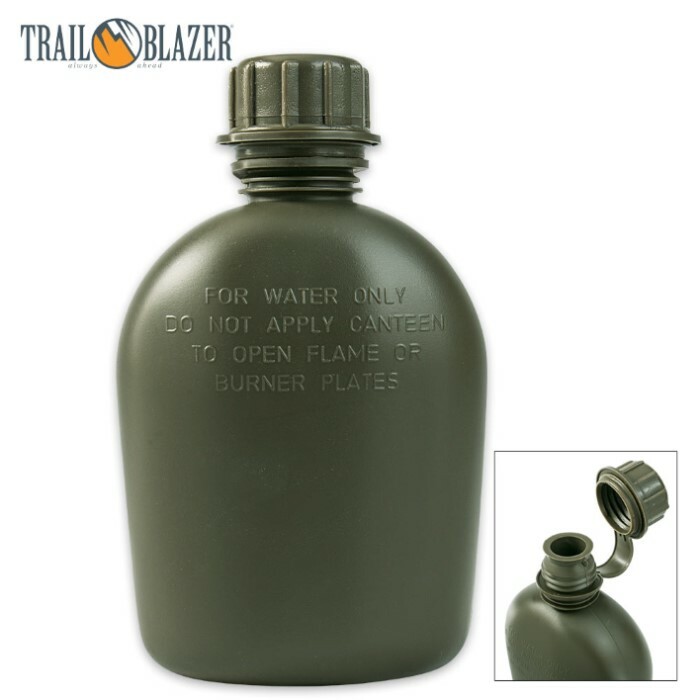 Trailblazer 1-qt Polymer Canteen - OD Green | BUDK.com - Knives & Swords At The Lowest Prices! This 1-qt canteen is made of a rugged, heavy duty synthetic polymer. Constructed for superior quality, this canteen is made in the USA. Take up to a quart of water with you and stay hydrated using this canteen.